Facebook says its investigation into Russian attempts to influence the Brexit vote has determined the activity amounted to just three adverts. Twitter says its own inquiry has linked six ads promoting referendum-related content on its platform to Russian sources. The Electoral Commission had asked the social media giants for the data. But an MP who had also demanded the review has said he is dissatisfied with Facebook's response. 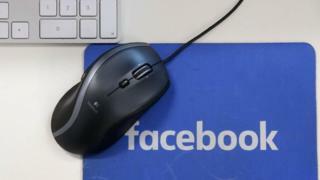 Facebook said it had looked into activity by accounts and pages it had previously tied to a Russian organisation called the Internet Research Agency. It said the Brexit ads had cost less than $1 (75p) in total to post, and had reached no more than 200 UK-based viewers over four days. An earlier investigation into Russian meddling during the 2016 US presidential election found more than $100,000 had been spent on 3,000 Facebook adverts, placed by the Internet Research Agency. In January, the US Director of National Intelligence identified the same agency as a vehicle for spreading misinformation. In a letter to the Electoral Commission, Facebook said: "We strongly support the commission's efforts to regulate and enforce political campaign finance rules in the United Kingdom, and we take the commission's request very seriously." But Damian Collins, MP and chair of the digital, culture and media select committee was not impressed. "Facebook responded only with regards to funded advertisements to audiences in the UK from the around 470 accounts and pages run by the Russian based Internet Research Agency, which had been active during the US Presidential election. "It would appear that no work has been done by Facebook to look for Russian activity around the EU referendum, other than from funded advertisements from those accounts that had already been identified as part of the US Senate's investigation. "No work has been done by Facebook to look for other fake accounts and pages that could be linked to Russian-backed agencies and which were active during the EU referendum, as I requested." Twitter later issued its own response to the Electoral Commission. "Among the accounts that we have previously identified as likely funded from Russian sources, we have thus far identified one account - @RT_com - which promoted referendum-related content during the regulated period," it said. The account in question is run by the state-funded broadcaster RT, formerly known as Russia Today. Twitter added that a total of $1,031.99 had been spent on six referendum-related ads during the campaign. In a speech in November, the prime minister accused Russia of spreading fake news, meddling in elections and mounting a sustained campaign of cyber-espionage. Theresa May made no specific mention of any meddling in the EU referendum, but there has been mounting pressure from politicians for an investigation into any attempts to interfere in the vote. A study by academics in the UK and US suggested that tens of thousands of Russia-based Twitter accounts, many of them apparently automated, had posted tweets about the EU vote during the campaign.